Space, light and attention to detail are the reasons why Douglas Ward likes Europa 2, he told a press conference on board Hapag-Lloyd’s ultra-luxury new ship. 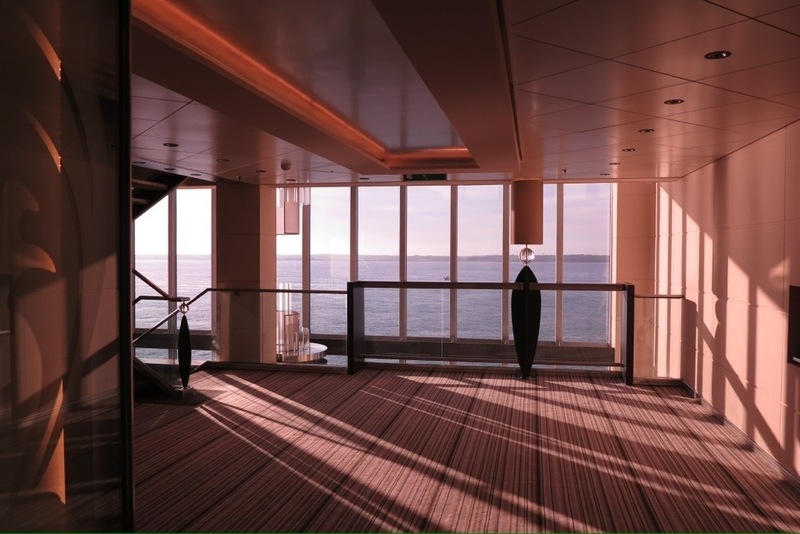 ‘The ship has, like Europa, double-height public rooms and hallways,’ said the author of the Berlitz Guide to Cruising. ‘When I go on big ships and see how low the ceilings are in some areas, I feel slightly claustrophobic. Ward pointed out that Europa 2 has no casino or laundrettes, which he found ‘refreshing’. ‘I think passengers come away to relax on a ship and don’t need to be bothered to do the laundry,’ he said. There were differences even with the more traditional Europa, said Ward, citing the ‘incredible choice of food’ on the new ship as one example. This entry was posted in New ships and tagged Europa 2, Hapag-Lloyd, new ships. Bookmark the permalink. Would a 10,000-passenger ship float your boat?